When in fact, it’s just a flexible, effective approach to learning a new language. But why does this thing need a name in the first place, what is it exactly and why should you, as a language learner, strive to be “independent”? Furthermore, what the heck do you need to do to achieve such a status? In this post, we’ll cover all of that. But before we talk about what independent language learning is, let’s clear up some false ideas and focus on what it’s not. One of the most common misconceptions about independent language learning is that it means steering clear of teachers and tutors. “Independent” here means not depending on anybody else for your learning. It means not being a passive learner waiting on the world to unfold before your eyes. It means actively working with your teachers and plotting a route which will get you to your destination. A great independent learner actually actively enlists the help of tutors and mentors to help themselves get to pre-determined goals. Likewise, independent language learning doesn’t mean you lock yourself in your room and go it alone. No language learner is an island. Independent learning, on the contrary, means full engagement—opening yourself up to the world and immersing yourself in the language—employing all types of materials you can get your hands on. It means engaging with anyone and everyone who can get you closer to your language goals. “Independence” here shouldn’t be used as an ego trip and doesn’t mean you should avoid talking to fellow language learners or native speakers. Quite the opposite. The immersive experience gained from interacting with native speakers and fellow learners gets you feedback, the obtaining of which is one of the jobs of an independent language learner. Independent language learning is taking full responsibility for the process. It’s deciding for yourself what you want to learn and how you want to learn it. It’s about autonomy. It’s about having the freedom to customize one’s learning experience. The complete opposite is someone who depends on others telling them what they should be doing. They take a program developed by others and swallow it hook, line and sinker. Not so with the independent learner, who carefully tailors the process to their needs. Again, nobody’s saying that you should go it alone or that you shouldn’t benefit from the experience of others. It’s really about the realization that you are responsible for your own linguistic fate. What worked for others may not work for you, and what made sense to them might actually seem weird when you try it. There are many ways to meaningful language learning, and at the end of the day, you are responsible for your own journey. Independent language learning is empowering and liberating. It motivates you because it gives you control over your own agenda. In other words, you’re setting yourself up for success! In addition to putting that fire in your belly, independent language learning is inherently fun and interesting. When you eat at a buffet, you only take what you want and leave the rest on the table, right? 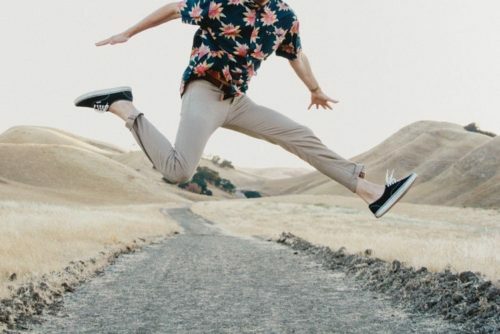 Likewise, in language learning it makes sense to pick the route you want to experience so that you enjoy the journey, not just the destination. Now let’s look at how you can go about being independent. Independent learning has a lot to do with self-knowledge. If you’re going to be engaging with your own learning, you better know a lot about yourself, your motivations and the specific things that you want. But learning these things, as we’ve discussed above, is beneficial for any learner and highly worth it. So, you’re convinced? You want to be an independent language learner? Below are the things you should be doing. 1) Set your own goals. The first thing you need to do is to figure out what you want. So what do you really mean when you say you want to “learn a language”? A) Learning enough phrases to get by when traveling in a foreign country. B) Learning the language in the context of being able to use it in a job (e.g., as a nurse, businessperson, lawyer). Which of the major language skills is most important to you? (Note: In the course of your language studies, you’ll inevitably be practicing and developing all four of these linguistic skills. It’s not like they’re mutually exclusive. They in fact reinforce each other. But for your goals, it’s good to determine which of the four skills you want to prioritize. What time frame do you have in mind for learning the language? What could be some realistic daily/weekly goals? A) Study for 10 minutes a day. B) Study for 30 minutes before going to bed. C) Meet up with your language exchange partner twice a week. There are unlimited ways you can customize your own experience, so the options above are only meant to serve as examples. In any case, you should not only customize your experience but determine the above factors from the very beginning. Most people simply decide that they want to learn a language and click the first YouTube video that comes their way. To gain the benefits of being an independent learner controlling your own fate, you’ve got to have a higher level of self-awareness. 2) Choose your own materials. The choice for learning materials is another way to exercise your autonomy. And there’s no better time to be an independent language learner than today! The internet, with its near infinite variety of content, is spoiling you for choice. So you need to be deliberate about choosing your learning materials. Here are a few guidelines to help you. Create your own mix of language learning material. Make sure you have all your bases covered to give yourself a nice cross-section of the content landscape. If you want to skip the hard work, though, FluentU gives you a big chunk of that nice cross-section right off the bat and then lets you customize it yourself. 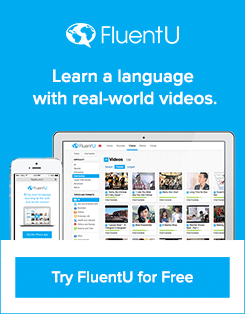 FluentU takes real-world videos—like music videos, news, movie trailers and more—and makes them into personalized language lessons. You can choose your own material, schedule and the amount of help you get along the way. It’s super easy to create your own vocab lists and flashcard sets, so your learning stays in one place. So even if you’re a visual learner, don’t solely go for visual content. Check out some podcasts and audiobooks, too! Get the whole shebang so you know you’re not missing anything that could possibly be beneficial. Let’s say you’ve found a suitable language program. Because there’s no such thing as a perfect program equally strong in all aspects of a language, you might find it wanting in some areas. Feel free to use other content for support. If a chapter in your grammar book doesn’t do the job explaining French verbs, for example, perhaps a video tutorial can. Don’t be afraid to hunt for material that resonates with you on a certain topic. Have you ever had the experience of reading something for two hours and not understanding any of it? Maybe it’s telling you to look for something else. You should be ruthless in weeding out content. Yes, there’s plenty of material out there, but it’s not all for you. In all honesty, you don’t have enough time to go over all of it. The key is to know quickly if a textbook, a YouTube channel or a language tutor is working for you. If not, then move on. 3) Get a lot of feedback. I’ve already mentioned the importance of self-knowledge or self-awareness in independent language learning. For this to happen, you need to get a lot of feedback. Feedback tells you if you’re moving in harmony with your goals, if you’re stuck or if you need to institute changes. Doing language exercises and drills. Recording yourself talking in the target language. Talking to a native speaker and asking for tips. Joining and being active in language learning communities. Maintaining a language learning diary or journal. Getting a language exchange partner. Activities like those above help language learners gauge the pace and direction of their journey. Based on your test scores, comments from native speakers or what you read in your journal, you can assess if changes are necessary. 4) Make your own changes. As stated earlier, the independent learner plots their own route to language acquisition. You can get the help of a whole village, but at the end of the day, it’s up to you to institute changes when the need arises. You can change your goals. For example, you can revise, expand or cut them. You can change your materials. Especially if they’re putting you to sleep. You can change your language teacher. You can change your study schedule or the amount of time you put into it. You can change the language itself. Basically, you can change anything. The wonderful thing about being an independent language learner is that you’re not boxed in or forced into doing anything just because it’s part of the curriculum. You are the curriculum master and you can tailor everything to your liking. So when should you make changes? I mean, a new study schedule or learning under a new French tutor is initially challenging, even if it’s a good fit. So how do you know something’s not working and that it’s time for some needed changes? Good question! Three sessions with your new tutor and you guys are still not clicking? Surely you can find another who you bond with from the get-go. Three sessions on the new study sked and you feel your progress is just not fast enough? Try a different one. Keep in mind these four things you need to do as an independent language learner. There’s exhilarating freedom in plotting your own personal language journey. I hope you grab that opportunity.